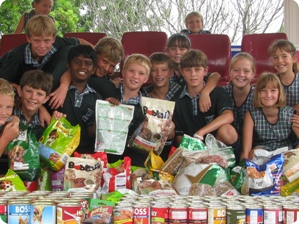 As a school founded on Christian principles, the concept of “love thy neighbour” is central to the Grantleigh ethos. To this end, children are encouraged to consider others less fortunate than themselves and, where possible, to make a difference in their lives. There are a variety of different outreach projects which Grantleigh undertakes through the course of the year and within the different phases of the school. We have an Easter egg drive for less privileged pupils in surrounding schools.